The Residence Agnes Prague is close to many popular city attractions such as Lobkowicz Palace, Old Town Bridge Tower and Municipal House Hall. 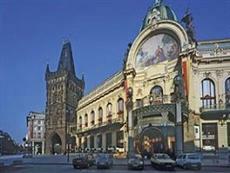 When staying at the hotel, guests may also want to visit the Prague Zoo or the Botanical Gardens. Guests can find places in the area to drink and dine as well. The location of the hotel makes reaching many destinations on foot easy. To visit areas that are distant from the hotel, guests can use rental cars or public transportation. The airport is easy to reach by car, and it takes only a few minutes. All of the accommodations at the Residence Agnes Prague include amenities such as air conditioning, cable and satellite TV, access to the Internet, phones, writing desks, and hairdryers. The rooms also have private bathrooms. Those who are staying at the hotel will be able to begin their day with a breakfast at the hotel. The hotel also offers Internet access. The staff of the Residence Agnes Prague will be able to help guests with tour information.